See Ash for more photos. March 19, 2009. Queen Elizabeth Drive at the corner of Broadway. 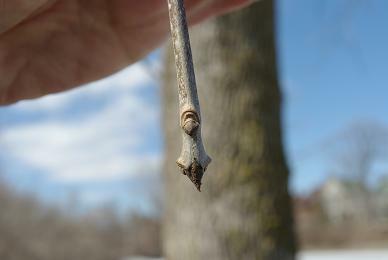 Note how the bud sits in a notch of the leaf scar, which is U-shaped and "smiling". 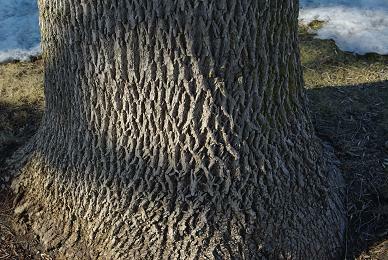 This differs from the semicircle without a notch of the more common green ash.